Rolling Stone joined the growing chorus of news organizations calling out the apparent gross incompetence of Rudy Giuliani. 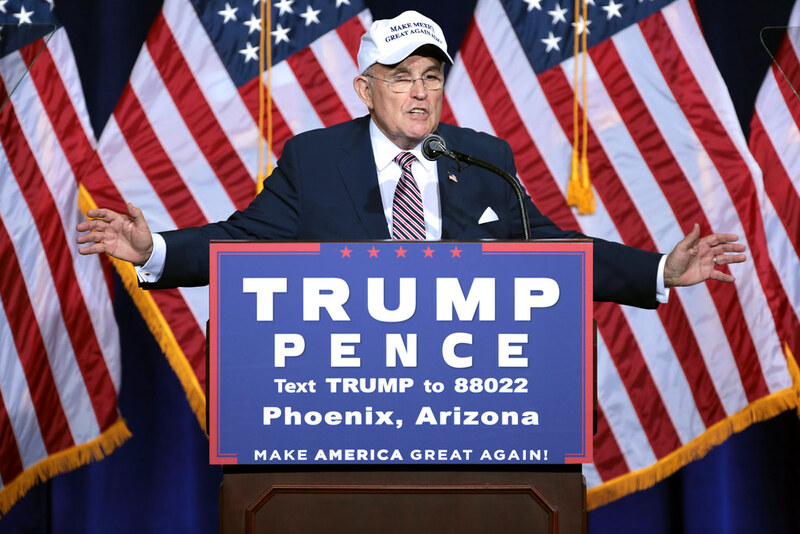 Rudy Giuliani hosted one of the strangest public meltdowns in recent history yesterday when he hit the news shows trying to spin increasing evidence that Trump colluded with Russia. [S]aying so doesn’t exonerate the president of any of the crimes the special counsel may be investigating. The relevant crime here, if indeed there is one, is conspiracy. And if there is a living human being who ought to know what a conspiracy is, it’s Rudy Giuliani, the former federal prosecutor who was involved in hundreds of conspiracy cases during his well-chronicled tenure as the U.S. Attorney for the Southern District of New York. Finding the right statutes to charge under for this crime spree is NOT going to be the problem, folks. Seriously. Stop worrying about that side of things. Mueller’s good. He can choose from any of twenty federal statutes that I’ve referenced on this feed, plus several others. The story of Monday morning, then, isn’t that the venerable federal prosecutor is educating the rest of us about legal standards. The story is that the president’s current favorite legal mouthpiece is virtually admitting that Trump colluded with the Russians, which is different from anything the president himself has said in all of those batshit tweets we’ve endured these past few years. The smartest thing any of us can do as the president’s legal position becomes more tenuous is to disregard the substance of everything that comes out of the mouth of Giuliani and other Trump tribunes. Their comments about the investigation, legal standards and what the evidence says and does not say is valuable only for what it tells us about the heightened level of fear within Trump’s circle (manifested over the weekend in the president’s frantic tweets). Otherwise, it’s just lies or gibberish — like pretending Mueller’s investigation hasn’t already produced guilty pleas and indictments or that the special counsel’s team is made up of rabid Democrats.